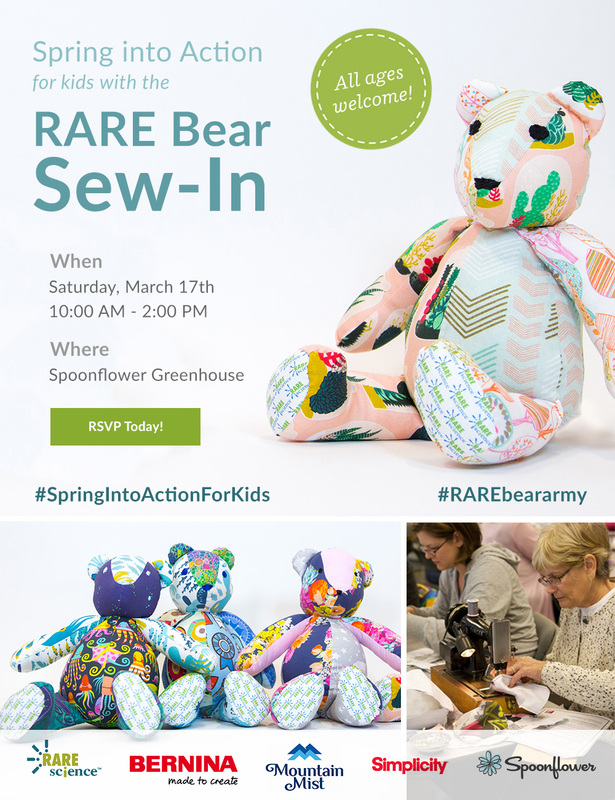 Did you know that for the past 2 months, Spoonflower has been a donation location for the 2015 Softies for Mirabel handmade toy drive? 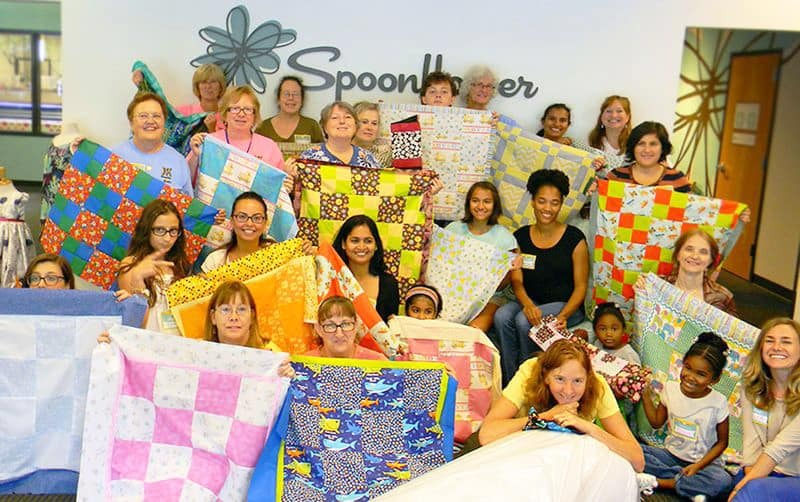 While the Mirabel Foundation may be located down under in Australia, Spoonflower customers and employees were happy to help contribute to this worthy cause to support a Mirabel child. This year, we were overwhelmed by your support and we can't thank you enough! 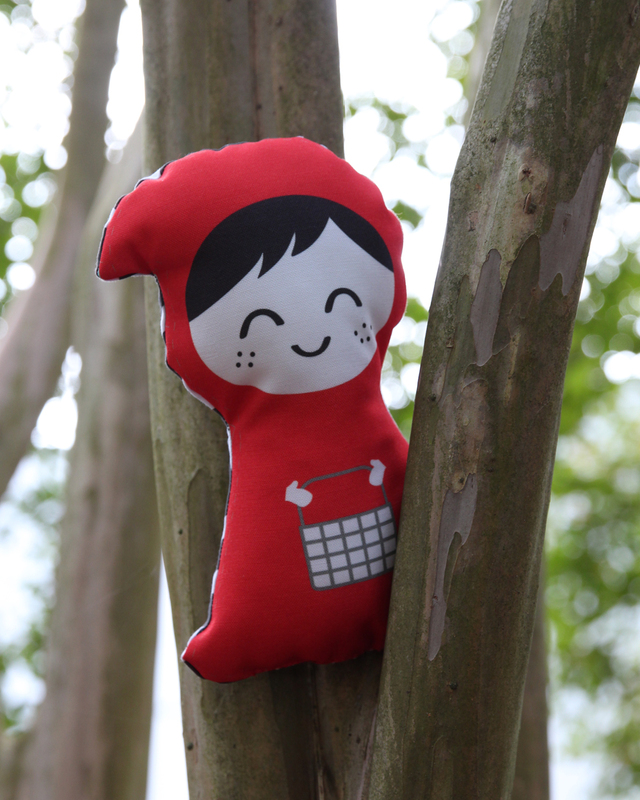 Today, join Spoonflower team member Meredith as she shows you more about the 95 softies donated to the Spoonflower HQ before they venture off to Australia to meet their forever home! 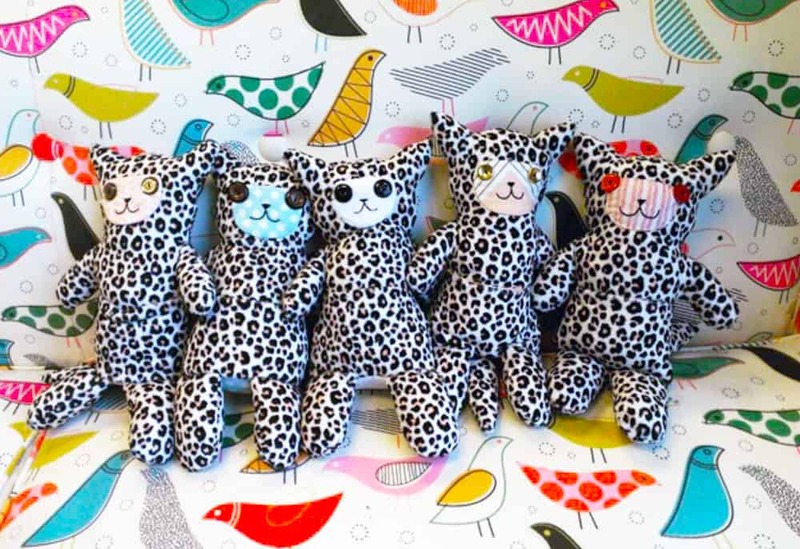 5 custom cat softies made by the Spoonflower Operations Director are ready to head to Australia! 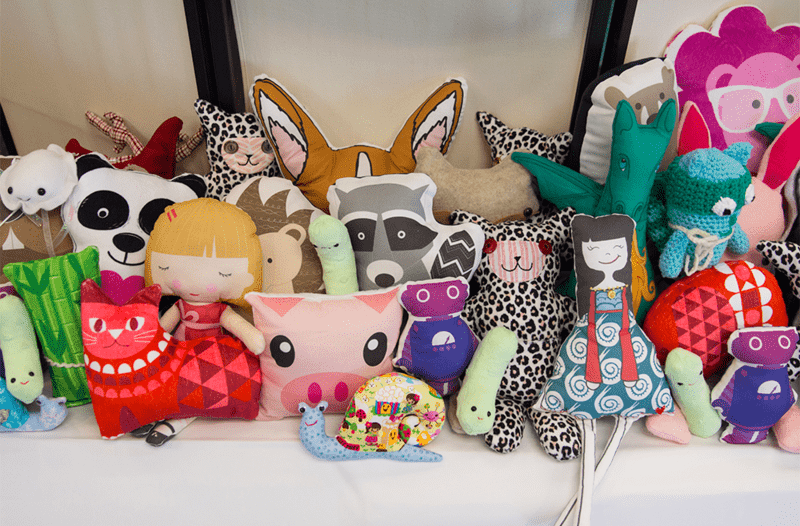 A handful of delightful softies await their departure to the Mirabel Foundation! 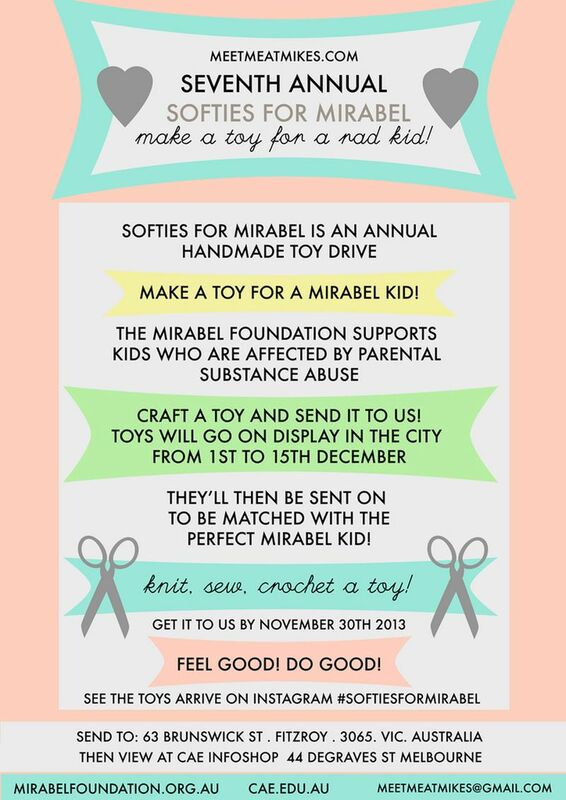 [Read more…] about Crafting for a Cause : Softies for Mirabel Update! 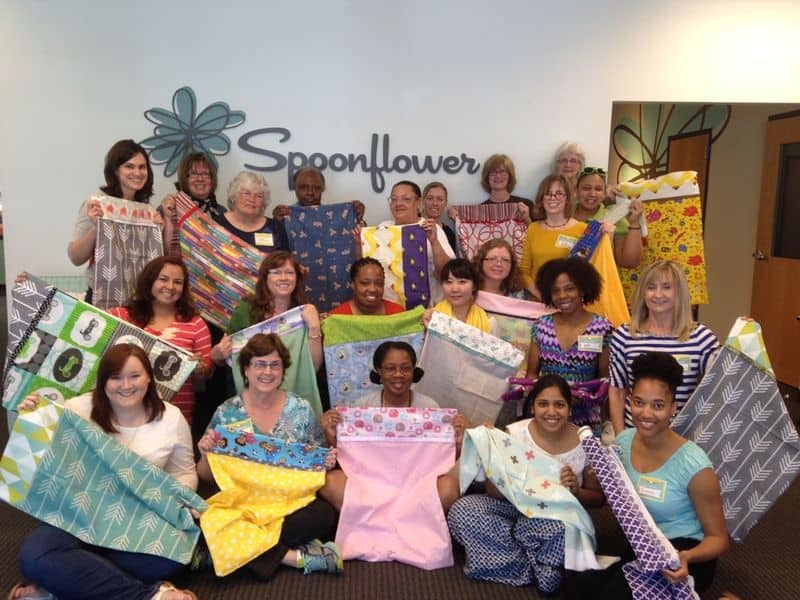 We are delighted to share the Spoonflower Greenhouse, our classroom and community space here at our Durham, NC HQ, with our local chapter of the Modern Quilt Guild each month. 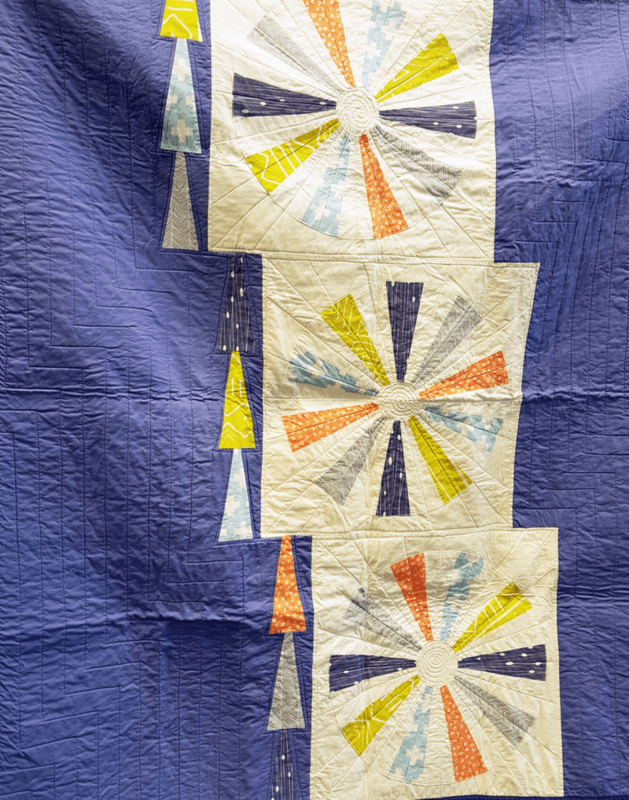 This spring, we partnered with the Triangle Modern Quilt Guild to sponsor a quilt challenge for a local charity, and we are thrilled to congratulate Beky Branagan, the winner of the Triangle Modern Quilt Guild Spoonflower Challenge! Read on for more about the challenge! 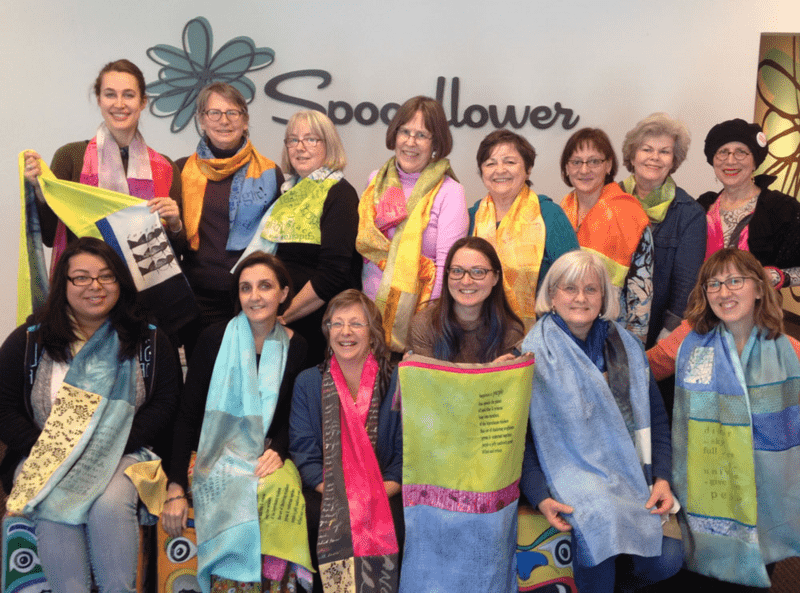 Early in January, we were delighted to have the lovely folks from Threads, a local sewing group, and friends from Spoonflower here in the Greenhouse, our classroom and community space here at our Durham HQ, to participate in a silk scarf sew-in for the Wrap Your Head Around It project. Wrap Your Head Around It is a community action project led by artist Peg Gignoux that integrates writing about the heroic journey of fighting cancer into wearable textiles. 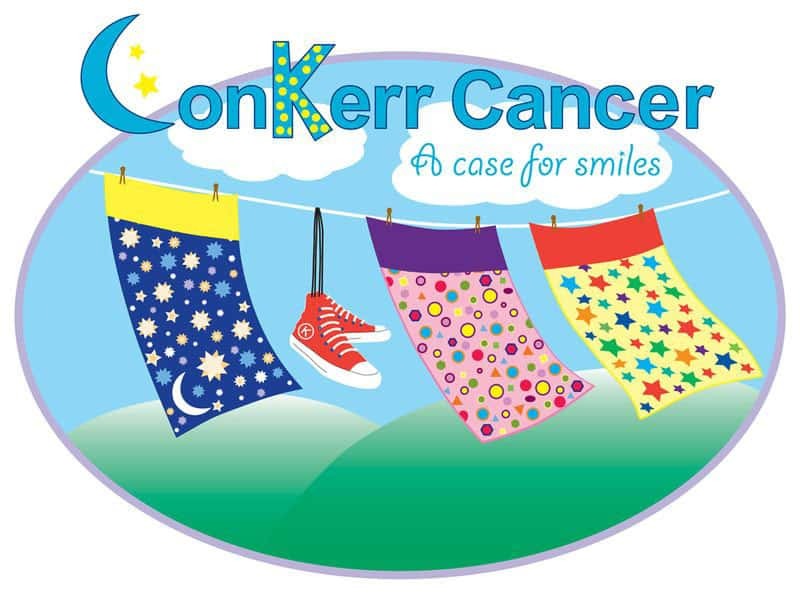 The goal of this effort is to create 200 handmade scarves featuring the words of patients who have participated in a series of writing workshops to describe their experiences with cancer. 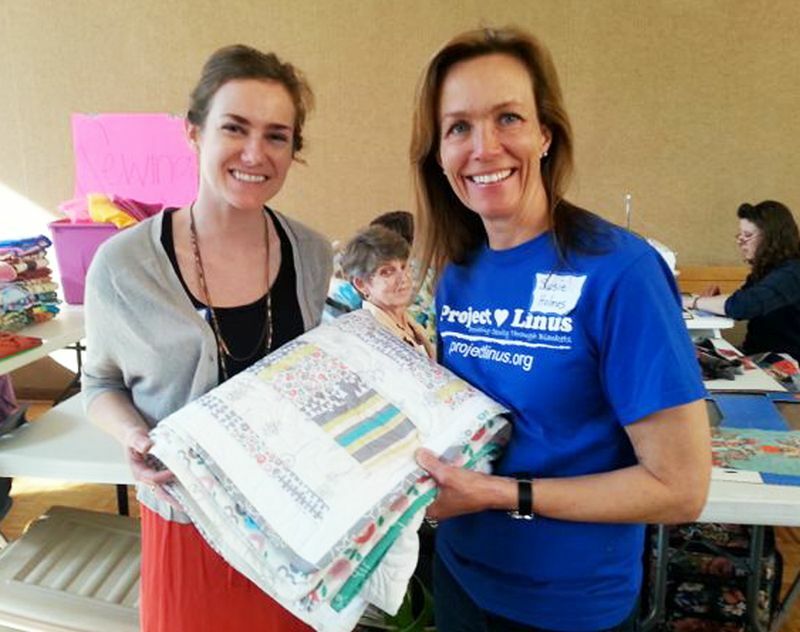 The project has been fully funded via Kickstarter, writing workshops are complete, and Peg and her team of local textile artists, the Threads group, used the Greenhouse to start stitching the first batch of scarves.